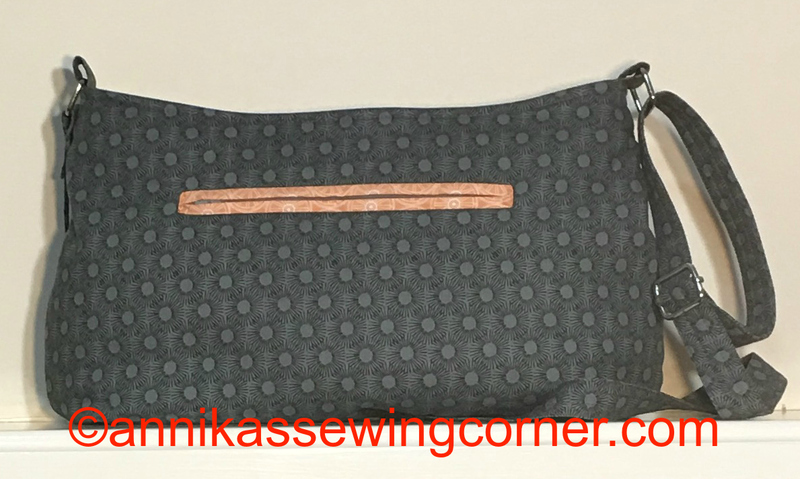 On the back of the bag I have made a double welt pocket with contrasting fabric and a zipper. 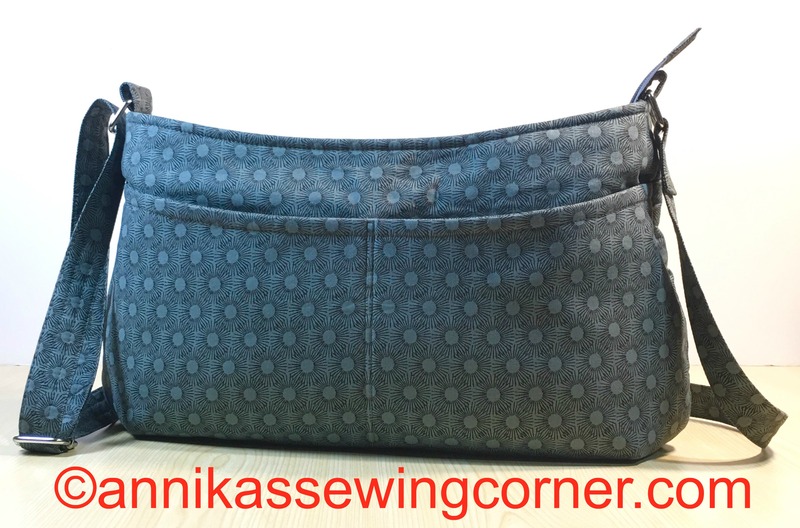 The bag has a recessed zipper closure that turned out really nicely. The bag is lined of course with an open pocket, divided into two sections and a zipper pocket. 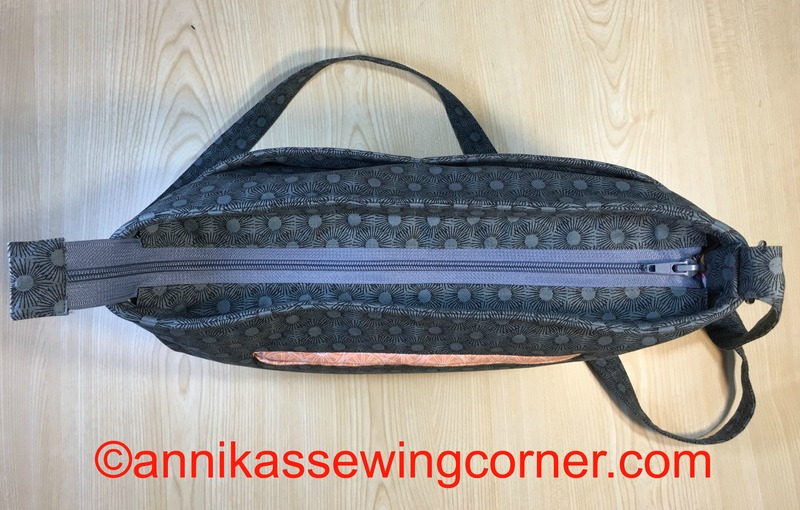 This might not be the birthday present but it will most likely become a pattern and I will do a tutorial on how to do the zippered double welt pocket in the near future. Until next time take care and happy sewing!